A ship arrives from England and deliveries one lone child. 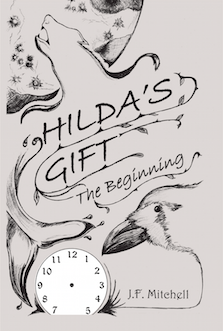 A most extraordinary child to be sure, but from the moment Hilda comes ashore she brings fear and accusation. The simple people of this close knit coastal settlement find themselves in a very peculiar situation. Sworn to secrecy, they will discover that there newest resident and the world is far stranger than they could have ever imagined. However, through Hilda’s unique abilities, new friendships will be forged and misconceptions changed forever.